Earlier this week, we were having a conversation in DNM Elite about vaccines … and something shocking came up. It seems that vets are being quite naughty when it comes to charging us for vaccines. 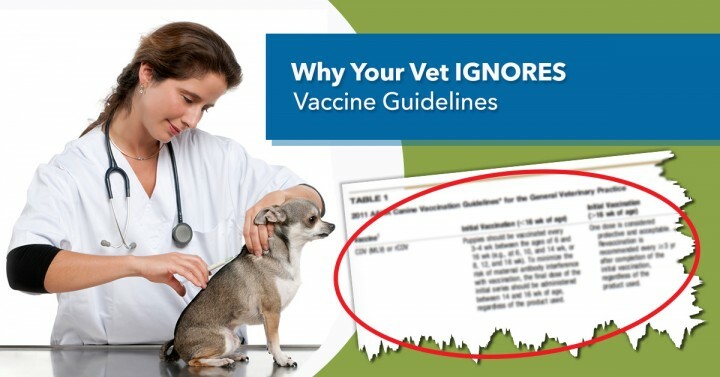 Back in 2003, The American Animal Hospital Association (AAHA) created a task force to determine how often vets should revaccinate dogs; prior to this, there were no guidelines and vets were happy to vaccinate every year because that’s how long vaccine manufacturers would guarantee their products to last. That wasn’t too big a deal before then as there were only a handful of vaccines available to vets …. but by 2003, there were over 100. But veterinary immunologist Dr Ronald Schultz realized that when dogs were exposed to viruses naturally, they developed lifetime immunity. So he began testing the core vaccines (distemper, parvovirus, adenovirus and rabies) and found that they all lasted at least 7 years (which was the duration of this studies, not the duration of immunity for the vaccines). So he brought this to the attention of the AAHA and that’s when they decided to advise vets to vaccinate every three years and not annually. 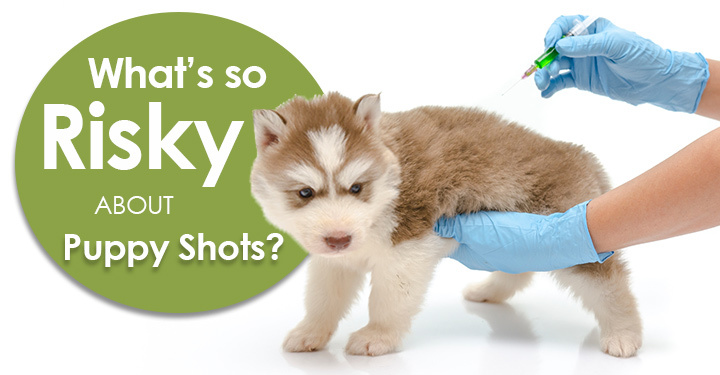 Then in 2011, because it was becoming clear that vaccines could cause cancer and other debilitating health issues (and because Dr Schultz continued to show that every major core vaccine on the market was likely to provide lifelong immunity in dogs vaccinated at 16 weeks or later), the AAHA updated their schedule once again. Among healthy dogs, all commercially available [core] vaccines are expected to induce a sustained protective immune response lasting at least 5 yr. So vaccines probably protect for life, but the associations are still allowing vets to vaccinate more often than that. That’s a topic for another day, so lets focus on how vets are doing with these guidelines that have been in place for over a decade now. 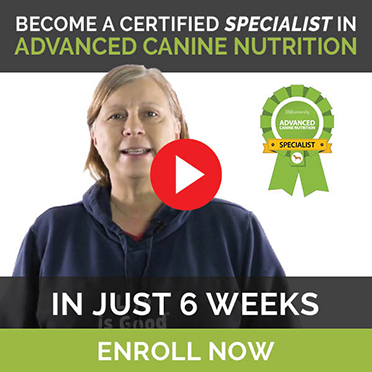 Are Vets Following Their Association Recommendations? In fact, a representative for one of the major vaccine manufacturers reports that 60% of vets are still vaccinating every single year … in direct violation of the AAHA recommendations (and a whole lot of research showing this is unnecessary and dangerous). The other 39.5% (my educated guess) are still vaccinating every three years … which is still too often! Why do vets continue to vaccinate so often? … like a lot extra! This seems fishy to me. If vets really wanted our animals to be healthy, wouldn’t they encourage us to vaccinate less often? So why are vets charging us more for a three year vaccine? Does it cost them more? To find out, I did some quick price shopping. The wholesale price for Duramune one year 5 way vaccines is $116.50 for a tray of 25 vaccines. That makes it $4.66 per dose (plus the cost of a syringe, which is less than 10 cents. So a one year vaccine costs the vet $4.67. The wholesale price for Canine Spectra 5 way vaccine (this is the only triennial vaccine I could find) is $163.62 for a tray of 25. So yes, it’s more expensive. Our math isn’t done yet! This works out to $6.55 per dose, plus the syringe is $6.65 per dose. So the three year vaccine is roughly $2 more than the annual vaccine. Next, our team members here at DNM had a little fun and called five random vets to find out if they were charging more for a three year vaccine. They called them up and said “I have an adult dog and I don’t know his vaccine history. How much will the vaccines cost?” And if the vet recommended an annual vaccine (which is in direct violation of the AAHA recommendations), they asked how much the three year vaccine would cost. Vet #1 recommended a one year vaccine and wouldn’t offer a three year vaccine. Vet #2 recommended a one year core vaccine for $23 and said the three year would be $49. The one year rabies was $18.50 and the three year was $45. Vet #4 recommended a one year vaccine and wouldn’t offer a three year vaccine. The five vets we sampled all recommended annual vaccination … which is a frightening thought in itself. But they all charged an incremental amount for the three year vaccine … on average they’re charging pet owners $23.88 for a one year vaccine and $49.25 for a three year vaccine. That’s more than double the price for a choice that’s healthier for your dog. On average, they’re charging us over $25 for a vaccine that costs them only an additional $2. … is this good business or is it an irresponsible extra charge? The vet is charging us not the incremental cost he incurs … he’s punishing us financially for choosing to vaccinate our pets less often. Because doubling his profit on that triennial vaccine does nothing but replace his lost income from the annual vaccine. These vets think they have a right to charge us extra when we don’t show up as consistently as they would like. Now I have no problem with vets making a living … but according to the AVMA, the average companion animal vet in the US made $92,000 in 2013. That’s nearly triple the salary of the average teacher in the US. So do vets really need to charge us extra for making the healthy decision for our dogs that they appear to be unable to make themselves? And why are they even offering the one year vaccines when they’re not supported by science or by their associations? Maybe Dr Schultz is right. It looks like vets are more concerned about giving up a part of their income than saving your dog from the dangers of over-vaccination. Money talks and it’s pretty clear where their priorities lie. 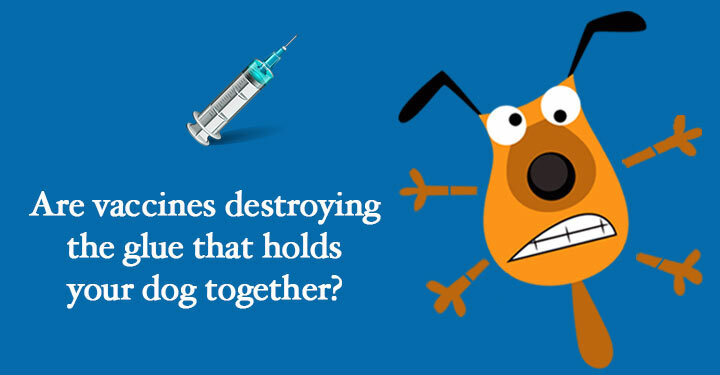 … your dog’s life is on the line every time he gets a vaccine he doesn’t need! 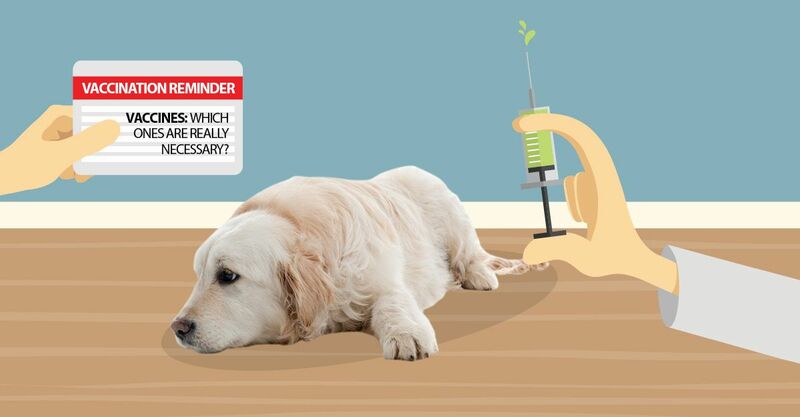 If you’d like to find out how many unnecessary vaccines your dog is getting, grab our Free Vaccine Guide … the results will surprise you!